Grab my 3 piece Commercial use in store today. 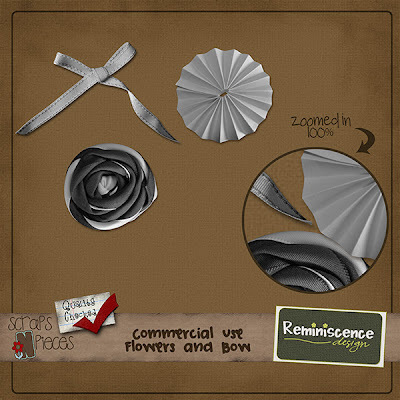 It is a rolled fabric flower, a folded paper flower and a bow. They are all gray scaled so they can be recolored. Click the image to find it in my store today!